It might be appropriate for me, at age 70, to explain something about how the Bible has influenced who I am and what I have chosen to write. I think the main reason for my pattern of life to this point has been the influence of the Bible, which I firmly believe to be the Word of God in its entirety, and God has used literally thousands of verses to correct and mold and shape me. But I can mention 12 verses (representing 12 clusters of similar verses) that have molded and shaped my life most strongly. I knew this verse from earliest childhood, because it was my mother’s favorite verse in the Bible. And when I think about it, I realize that the teaching of this verse has formed the “background music,” (or, to use another metaphor, the “mental screensaver”) that has been present in my mind through my whole life, resulting in a deep trust in God’s absolute sovereignty over events and his unfailing good purposes for his children, including me. Even in times of challenge, discouragement, and difficulty, God has given me a deep peace in the knowledge that he is working “all things” together for good. He is the sovereign Lord of the universe, and his purposes will prevail. In 1966, when I was 18, I spent the summer between high school and college in Quebec City, Canada, taking an intensive French class. While there, I pondered what I was going to believe for the rest of my life. Was I going to believe what my parents and my church had taught me, or something else? Alone in my dormitory room one Sunday afternoon, I consciously decided that I knew the Bible, which I had read regularly since early childhood, was the Word of God, and that I would believe what I’d been taught at home and church if it agreed with the Bible, and reject what did not agree with the Bible. 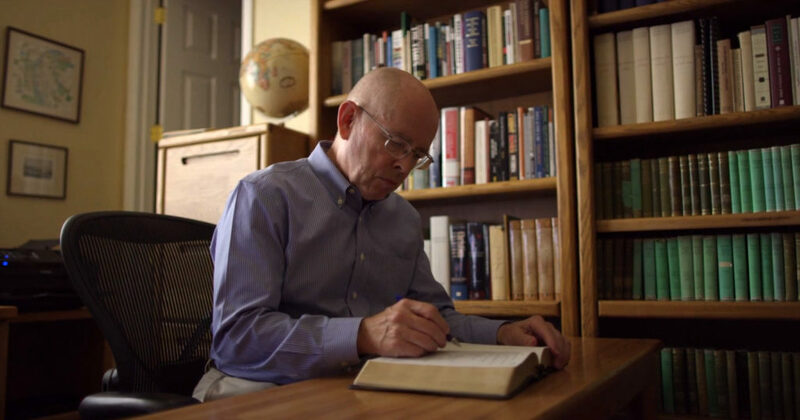 The Lord was certainly in that decision, because in the 52 years since that time, throughout college, seminary, doctoral studies, and classroom teaching, the conviction that “every word of God proves true” has been at the very foundation of my entire life. From at least early elementary school—first, second, or third grade—I have loved the sense of God’s presence that came to me when I would pray, when I would sing hymns, and often when I was in church. This joy or delight in God’s presence has been a deep source of joy for my entire life. This is the joy that I feel in fellowship with Jesus, my Lord and Savior. As Peter says, “Though you have not seen him, you love him. Though you do not now see him, you believe in him and rejoice with joy that is inexpressible and filled with glory” (1 Pet. 1:8). The word translated “prudent” (Hebrew sākal) can also be translated as “insightful, discerning, wise, perceptive”—and that is certainly a description of Margaret, my wonderful, caring wife of 49½ years, who is truly a gift from the Lord. Much of who I am, and much of what I have done, has been due to her godly influence in my life. In addition, while Margaret could have pursued a career in the workplace, she chose instead to give countless thousands of hours to the task of being a wife and mother—taking the primary responsibility in caring for our children, making sure our home was always clean and pleasant, preparing tens of thousands of meals, doing the grocery shopping, the laundry, and many other unheralded tasks. If she had not done these things, many of the books I have written would not exist today, because I would not have had the time. Much of the credit for my work belongs to her. But I remember once when Margaret’s concern for beauty in our home didn’t work out very well. I was a seminary student and we were living in a one-bedroom apartment in Philadelphia. One day I came home from classes to find my commentaries, reference books, and Greek and Hebrew dictionaries, all rearranged with no logical order to them at all. Margaret had decided they looked better if they were arranged by color instead of subject matter! The Lord gave Margaret and me three very special sons, and now these three sons have brought into our family three wonderful daughters-in-law and three delightful grandchildren. I’m so thankful for their support and love—this is truly a gift from the Lord. As far as I know my own heart, I don’t think my work has been motivated by a desire to show off or prove my academic expertise, but rather by a desire to “excel in building up the church” (1 Cor. 14:12). Again and again, the things that I have written, or the organizations that I have been involved in, have come about because I saw a need in the church as a whole that I thought I could help to meet. In a related verse that has also influenced me, Paul says, “Him [Christ] we proclaim, warning everyone and teaching everyone with all wisdom, that we may present everyone mature in Christ” (Col. 1:28). Paul’s goal was not simply that people trust in Jesus as their Savior and go to heaven, but that they grow and become “mature in Christ.” That has also been my goal. This has been a tremendously influential passage for most of my life. I want to be able to say the same thing at the end of my life—“I did not shrink from declaring the whole counsel of God”—I didn’t hold back from teaching faithfully everything the Bible says, even about topics that are unpopular, or topics that will make people disagree with me or be mad at me. I want to be faithful. I have been convinced for many years that if God’s Word is able to make even “simple” people to be “wise,” that implies that he has caused the Bible to be written in such a way that it is able to be understood by his people generally. God himself wants us to understand, and believe, and obey what the Bible says—not just an individual verse or two, but the Bible taken as a whole. That conviction about the clarity of Scripture motivated me to write my Systematic Theology, my recent book Christian Ethics, and several other articles and books in which I attempted to argue and explain clearly (both to scholars and to God’s people generally) what the whole Bible teaches us about numerous specific topics. 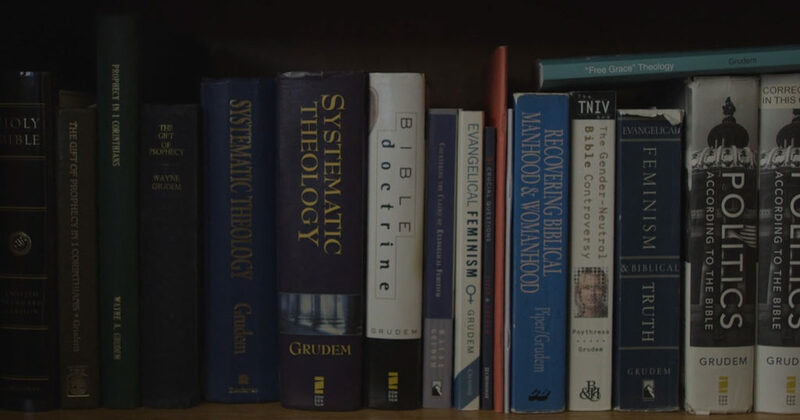 When my Systematic Theology was first published in 1994, it was criticized in some reviews—especially in the UK, but also in the US—as “not the way we should do theology.” Some critics were saying, in effect, “Who does Grudem think he is, that he can just go to Scripture and build doctrines from its pages?” The critics usually gave no specific examples where they thought I had misinterpreted Scripture, but just assumed that theology could only be done by first mastering the fields of philosophy and church history and everything about theology that important theologians and philosophers had said in the past—especially the views of liberal theologians who didn’t submit to the authority of the Bible but were reputed to be brilliant scholars—and then reasoning from their writings to reach doctrinal conclusions. As a result, very few evangelicals with specialized training in Old Testament and New Testament (but not in philosophy or history) were writing theology. But I thought that God wanted his people to learn above all from his Word. The great doctrine of the clarity of Scripture teaches us that the Bible is written for God’s people to understand. And if these critics were right—if, after an M.Div. at Westminster Seminary and a Ph.D. in New Testament at Cambridge, and over 40 years of reading the Bible daily, if I still could not understand the Bible’s teachings rightly—then how could the Bible say that “the testimony of the LORD is sure, making wise the simple” (Ps. 19:7). How could millions of Christians without seminary training ever find Scripture to be “breathed out by God and profitable for teaching, for reproof, for correction, and for training in righteousness” (2 Tim. 3:16)? How could all the parents in Israel be expected to hear the words of Scripture and then “teach them diligently to your children, and . . . talk of them when you sit in your house, and when you walk by the way, and when you lie down, and when you rise” (Deut. 6:7)? For some reason, I didn’t feel the need to prove myself academically to these critics or anybody else. The clarity of Scripture had persuaded me to go ahead and write Systematic Theology. I’m grateful that God has allowed it to receive a warm reception from his people all over the world, in many languages. And now my book Christian Ethics follows the same methodology. I’m sure I have not understood all the teachings of the Bible perfectly, and I know that others will differ with some of my conclusions, but I am still firmly convinced that the Bible is not a collection of baffling teachings that we have no hope of understanding, and it is not a collection of contradictory, merely human writings by different authors, but that it is able to be understood, believed, and obeyed, and that God wants us to understand it rightly. Nearly everything I have written contains arguments based on facts—facts found in Scripture, facts found in literature from the ancient world (to which many of my readers will have no access), facts from the history of the world right up to the present day, and facts about an opponent’s arguments. But are we always honest with facts? Every academic researcher understands the temptation that comes when you are working in a major research library and you come across data in some obscure source that seems at first to contradict the theory you are arguing for. There’s a temptation simply to ignore that awkward bit of data—who would ever notice? But this verse tells us to argue by “the open statement of the truth,” and that verse has influenced me again and again. So far as I know, I have never intentionally misrepresented or covered up any of those awkward facts, but have felt an obligation before God to state them clearly and then explain how I understand their meaning. In addition, I have felt a deep responsibility to try to do my work carefully so as not to unintentionally misrepresent any facts, through carelessness. God is honored, and he will give blessing, only when we consistently seek to persuade, in imitation of the apostle Paul, “by the open statement of the truth” (2 Cor. 4:2). Have I made mistakes? Certainly. Have I been wrong about some things I have advocated? Yes—I don’t think on any major doctrines, but no doubt on some secondary points, and I’m sure I’m not aware of all of them. James says, “For we all stumble in many ways. And if anyone does not stumble in what he says, he is a perfect man, able also to bridle his whole body” (Jas. 3:2). I trust that over time the Lord will cover my mistakes and make them unpersuasive, and use others to correct them. The Lord entrusted much to me—in undeserved opportunities, undeserved gifts, and many wonderful friends. I do not know if he will count me faithful on the last day, or tell me I could have and should have done more for him and his kingdom. I often feel that way. Who am I, O Lord, that you have brought me thus far?